This is where we have returned to make our pure certified organic essential oils, certified organic skincare, organic face cream and certified organic beauty products. Mountains are the cradle of nature; they hold everything that is pristine, natural, tranquil and good for us. They are our source of wellbeing and the place Mt.retour has gone to create its truly natural, truly certified organic skincare and certified organic essential oils. When we want to restore our wellbeing and bring inner harmony to our lives the mountains is where we return to. Mt.retour is your way of bringing the living energy and beauty of the mountains into your beauty routine. We help you do this by only using the purest certified organic essential oils and certified organic skincare and beauty products. After failing to find a natural skincare product that was gentle on his sensitive skin founder, Pisan Chowvalit travelled to the South of France to study aromatherapy. It was here that he discovered the natural healing power of herbs, botanicals and certified organic essential oils. Armed with this new knowledge he returned to Australia and bought an organic farm in the pristine surroundings of the Blue Mountains. It was here where he grew his own herbs and botanicals to make Mt.retour certified organic essential oils and certified organic skincare. Every ingredient in Mt.retour is plucked from nature to contain the most healing, natural, certified organic and therapeutic ingredients ? organic lavender, organic rose, organic ylang ylang, calendula and certified organic frankincense, organic jojoba oil, organic apricot oil and certified organic beeswax. His aim was to create a range of gentle certified organic essential oils and certified organic skincare that everyone could safely use. Like pristine mountains all Mt.retour products contain the purist, natural, certified organic ingredients. It was Pisan’s vision to create products that were truly safe, truly certified organic and truly affordable. Today Mt.retour is distributed to over 15 countries and is a leading certified organic skincare brand in Asia. It meets the highest certified organic standards and is accredited by Australian Certified Organic(ACO) and theOrganic Food Chain(OFC). It contains no harsh synthetic chemicals including no artificial fragrances, sulphates, parabens or petrochemicals. 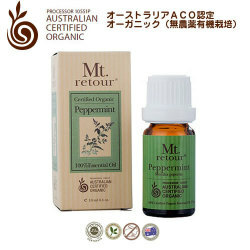 Copyright (c) 2011 Mt.retour organics Co.Ltd. All Rights Reserved.